As you will see our Walks are always circular, starting and finishing from the same place, where there is parking, toilets, St Johns Ambulance volunteers and a canteen. As part of your registration fee you will receive a printed guide with photos and route directions so your team can navigate their way. There are checkpoints around the route, manned by our friendly volunteers who will assist you in anyway they can. Our sponsors provide energy boosting treats and Pret a Manager also kindly donate emergency water supplies, available at every checkpoint. We also ensure there is a least one pub en route too. 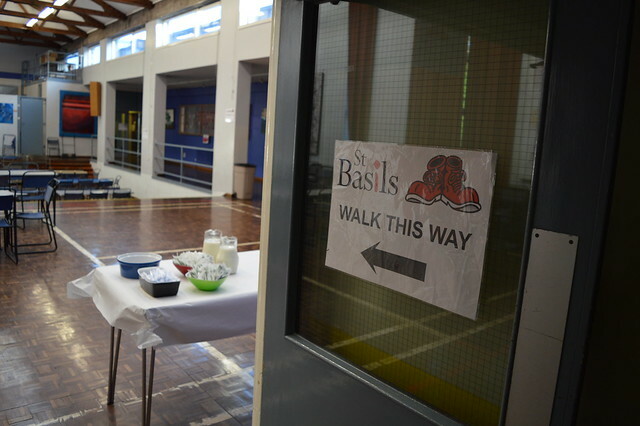 See 'About St Basils Walk' for more info on the format of our annual Walks. Photos of previous walks will give you a flavour of this event. Click on the image below to launch the interactive album.